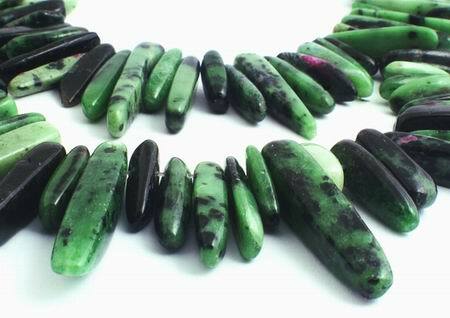 Enticing Ruby Zoisite Icicle Spike Beads - Unusual! Price is per 16-inch strand of these unusual icicle beads. All different sizes, but range from a long 32mm x 6mm x 5mm to 13mm x 5mm x 5mm.